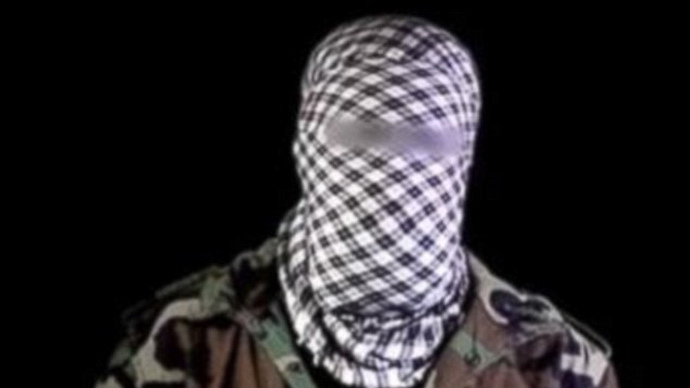 Terror group Al-Shabaab has released a video threatening attacks on UK and US shopping malls. In the footage, the extremist specifically mentions London’s Oxford Street, and provides GPS coordinates for the city’s large Westfield shopping centers. The Metropolitan Police's Counter Terrorism Command said it’s aware of the video and is assessing the threat. US Homeland Security said they are taking the threats very seriously, but claimed they are unaware of any specific plot against US shopping malls. Some US and Canadian officials had earlier cast doubt on the credibility of the threats, which specifically mention the Mall of America in Minnesota, the West Edmonton Mall in Canada, London's Oxford Street and centers in Paris. The 77-minute video was released by the Somalia-based affiliate of Al-Qaeda on Saturday. In the footage, a man dressed in a military style jacket, his face covered with a scarf, urges followers to carry out attacks on “American and Jewish-owned” shopping malls. Al-Shabaab previously claimed responsibility for the attack on the Kenyan Westgate shopping mall in 2013, which left 67 people dead. Referring to the Westgate attacks, he adds: “If just a handful of mujahedeen fighters can bring Kenya to a complete standstill for nearly a week, imagine what a dedicate mujahedeen in the West could do to American or Jewish owned shopping centers across the world? “Take the Westfield shopping center in Stratford or White City… What would be the implications of such an attack, one can only imagine. Extra security measures have been implemented at the Mall of America following the threat. A Scotland Yard spokesperson told the Daily Telegraph: “The MPS Counter Terrorism Command is aware of the video and is assessing the content.